Great day at The PostBox Café with Chorlton Community Market. 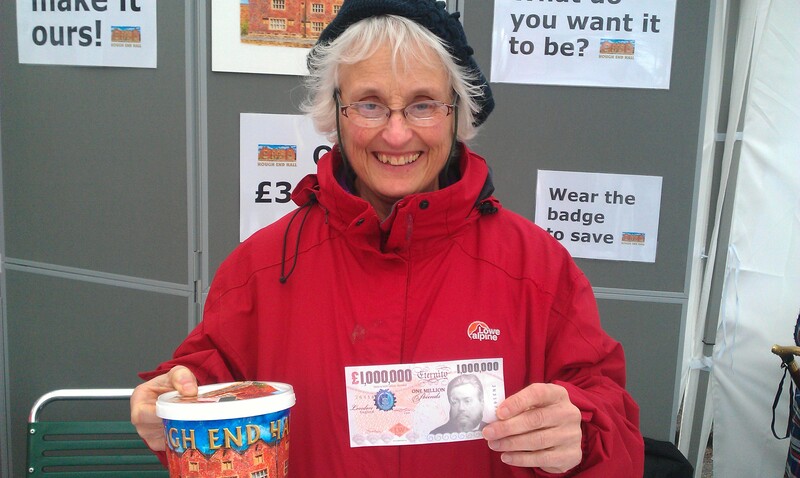 We had lots of interest and Carolyn received a £1,000,000 note donation. Lots of people signed up to join and donated money to help buy Hough End Hall. This entry was posted in Action, Fundraising, History, News by houghendhall. Bookmark the permalink.